About a week ago, I spoke with my publisher regarding the books in my new contemporary romance series entitled, WAGS (Wives and Girlfriends of sports stars). The first book had released in January, and the second, only a week and a half earlier. But in that span of time, I’d noticed something about the releases that, as a writer of color, I found disturbing, and apparently, so had my publisher. Sounding infuriated and frustrated, she gave me the sales numbers. The first book had an African-American hero on the cover, and the second book cover had a white hero. Now right about now, I can practically hear the rattling of the eye rolls, along with, “God, no. Another blog about diversity.” And yes, you’re right. It is. I think too many of us are afraid to talk about race, and instead would rather avoid it because of the negativity and emotional exhaustion it can wreak. But I remember in college how my senior seminar professor wanted to desensitize me to spiders, because I had a horrible phobia. Disclaimer: It didn’t work, because when she explained the last step would be holding an actual tarantula, I was like hell-to-the-no and decided to write about the music and meaning of the movie Sarafina! Apartheid, yes. Spiders, no. Still, her reasoning was very sound. The more we expose ourselves to, or confront something, the less sensitive we are to the emotional and physical stimuli it provokes. The more we discuss and meet this topic of diversity and race head on, the less of a hold fear, anger, grief and frustration have on us, and we can talk about it with calm instead of antagonism. So, going back to these numbers. When I heard them, I was shocked. Like, floored. Not because book 1 sales were lower. I’d followed the rankings; I knew this. But it was the huge disparity in those numbers. I had to ask myself, why didn’t readers buy book 1? This was my weakest-performing release out of all of my contemporary romances. Was it my writing? I would have to say no, because my previous book sold well, and then the sales and reviews of book 2 prove that readers still enjoy my voice. Maybe it was football itself? The “take a knee” movement? But no, both books featured football heroes. Maybe it was the twin thing from book 1? It could be that people aren’t into twins pulling a switcheroo. Even though both my editor and publisher expressed their beliefs that the twin thing is a draw for romance readers. But still, maybe it could’ve been any of those. But they still couldn’t account for the fact that book 1 only sold 1/4th of the sales of book 2. Finally, I had to look at the most obvious—and according to Occam’s razor—probably the most likely explanation. Book 1 didn’t sell as well because of the black man on the cover and/or the book featured a black hero. Now, it’s quite possible that there could be something wrong with book 1 that I’m just failing to recognize… But my publisher Liz Pelletier at Entangled Publishing had the same questions. Why wasn’t book 1 selling as much as book 2? Book 2’s Ad featuring a white model on the ad (D) was clicked 33% MORE times than the ad for book 1 featuring the black model (B). Not only that, the ad for book 2 featuring no model (C) was clicked HALF as often as the same ad with a white model (D). But…and this is the truly sad part…the ad for Book 1 featuring no model (A) was clicked MORE often than the same ad featuring a black model (B). So what does all this mean? The data is pretty clear that readers would rather see no one on an ad if he’s black but are 33% more likely to click the ad if a white model is featured. Now let that depressing but not unexpected news sink in for a moment. We’ll come back to this in just a bit. In 2018, I think we all have to ask ourselves why should the color of a cover model’s skin or that the book features diverse characters determine whether or not a book will be enjoyed? If any genre should be the poster child and vanguard for diversity and inclusivity, it’s romance. Our message is love. Love doesn’t exclude, harm, is blind, is kind, accepts instead of condemns. And yet… In my head, I can hear some of the reasons and justifications of why. I, too, read to escape, and I see absolutely nothing wrong with that. But to believe that just because a diverse model is on a cover means the romance will be about race is an assumption—and an incorrect one at that. All it means, with a certainty, is the character is ethnic. Could it include a social or racial topic? Yes, that’s possible. But it could also show how the power of love overcomes such ignorance. Still, a reader won’t know unless he or she reads the book. It amazes me how readers can relate to billionaires, MMA fighters, CEOs, vampire hunters, vampires, mafia kingpins, and rock stars but are unable to relate to a character who has more melanin in their skin or a different grade of hair. What about low self-esteem, dysfunctional family dynamics, brutal childhoods, sexism, ageism, body image issues, peer pressure, bullying, loneliness, the need to be loved and accepted…? Can’t we all relate to those issues? Because no matter our race, economic status, geography, or age, we all have been touched by pain, loss, insecurity, and/or death. In romance, our heroes and heroines overcome these strongholds by love of self and their mate. Isn’t that why we read? Because we relate to wanting that happily ever after for ourselves. That has nothing to do with race. Furthermore, the color of a person’s skin isn’t a hair color preference or whether or not you like a man bun (how can you not love a man bun? But that is a different blog post!). When we discount a person as attractive or beautiful because of the shade of their skin, we’re saying there is only one standard of beauty and everyone else is inferior, defective, not worthy. Besides that, I further back up my argument with two words: Shemar Moore. Most women, regardless of race, age, and political leanings wouldn’t kick Shemar out of their bed. And if they would, we have Dr. Phil, Iyanla Vanzant, and Dr. Jeff over on aisle 4. My point is there’s more that unites us than divides us. We must come to realize it’s not just about you or me, as individuals. Once we start thinking about the other person—their experiences, their hurts, their feelings, their struggles—then we won’t bristle, bracing ourselves for accusation or the offensive defense every time race or diversity is mentioned. If you’re not a person of color, I don’t know if you can fully grasp the magnitude of the joy and pride that swells within me when I see an ethnic woman or man on a cover. A smile doesn’t just break out on my face, but in my heart. It may not seem huge to one who often sees themselves depicted in media, but believe me—it’s so huge. It feels wonderful to view someone who looks like me held up as this symbol of beauty and love. I still remember when I was fourteen years old, sitting on my grandmother’s porch, reading French Silk by Sandra Brown. I can’t express my awe and utter delight when I realized Yasmine, the heroine’s gorgeous best friend and supermodel, was black. Honestly, I reread the description about three times just to make sure. Okay, so she died (oops! Spoiler! ), but that’s beside the point. A model. A black woman. In a Sandra Brown book. Damn. I was floored. I was almost sick with joy. It might be difficult for some to understand the need—no, the craving—to see yourself represented on tv, in movies, on and in books. And not The Next 48 or criminal #2 on prime time. No, represented as positive, powerful, successful, educated individuals who, yes, are worthy of love, of that HEA. It’s…priceless. So when I say it’s not about you or me, I mean it’s about all of us. My desire, my hunger to see someone who looks like me on the cover of a book, and in its pages, may not directly affect you. But think of how it affects me, my children who need to see that they can be lawyers, judges, officers, actors, superheroes… If you consider that world-changing impact, then is spending $2.99 or $4.99 on a book with a character of color or a book by an author of color too high a price? If spending that money means increasing demand for these books and publishers giving in to that demand, then is taking a chance on a book or author too high a cost? Worst-case scenario, you spend $2.99 on a book that sits on your Kindle. (Because that never happens.) But the best case scenario is you’ll find an author you really love that you previously weren’t aware of and a new story to fall in love with. The bad news about the future of diverse books and books written by authors of color being published is: a good part of that responsibility lies on the shoulders of the readers. The good news about the future of diverse books and books written by authors of color being published is: a good part of that responsibility lies on the shoulders of the readers. For authors especially, I believe because our relationships with editors, marketing staff, and publishers tend to be closer and more accessible than in other professional fields, we tend to forget publishing is a business. That’s the bare, at times seemingly ugly, truth. With most businesses, the law of supply and demand, the bottom line, rules it. What if we all decided, out of our monthly book budgets, we’re going to buy at least one book with diverse characters or by an author of color? From the voices lifted on social media, it appears readers and authors across races support more diversity. But confession without action means nothing. A person will place their resources behind their passion, where their hearts lie. Yes, publishers are watching social media and viewing what readers and authors are saying. But they’re responding more to what the money is saying. If you’re declaring with your words that you support diversity in romance, but only putting your money toward books that aren’t diverse, then your words mean less than nothing. Supply and demand. Demand more diverse books by buying more diverse books. If you take nothing else from this blog post, please understand readers are the gatekeepers. The change makers. The solution. Remember those ad statistics mentioned above? Well, all four ads had the exact same budget spent but with very different returns on investment. For every ten dollars spent in advertising, the ad featuring the white model, we sold roughly 2.6 books. For every ten dollars spent in advertising the ad featuring the black model, we sold 1. If the book’s cover price is $2.99, like mine were, then my publisher made money advertising the book featuring the white model and lost money advertising the book featuring the black model. Now, I know this data is reflective of my books and the ads run specifically for them, but I think there are some really important insights to start more open discussions when we speak of diversity in romance and publishing, in general. We need to ask ourselves these simple questions: How frequently are we buying diverse books? Of the last ten books purchased, how many featured diverse characters or supported diverse authors? If everyone bought one diverse book for every five books purchased, we’d change the landscape of publishing in less than a year. We must be about action. And that action needs to represent a commitment on every readers’ part to be the change not just speak of it. Change comes when we do. When we look at a book and not determine it’s worth or strength on the color of a cover model or hero’s skin. When we start understanding that diversity isn’t about a group of people, but all people. When we put our money where our mouths are and tell publishers with our resources that we demand more. Join the conversation and let us know your thoughts in the comments. This is a cross-post with BookEnds, so be sure to check out that post as well for additional comments. 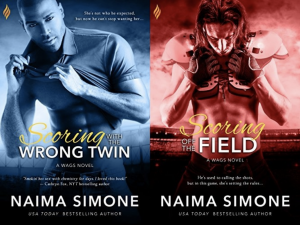 USA Today bestselling author Naima Simone’s love of romance was first stirred by Johanna Lindsey and Linda Howard many years ago. 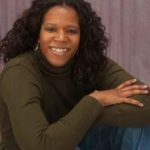 Though her first attempt at writing a romance novel at age 11 never saw the light of day, her love of romance and writing has endured. Now, she spends her time creating stories of unique men and women who experience the dizzying heights of passion and the tender heat of love. She is wife to Superman—or his non-Kryptonian, less bullet proof equivalent—and mother to the most awesome kids ever. They all live in perfect, domestically-challenged bliss in the southern United States. Thank you for sharing these numbers, and for the suggested author list at the end. As an avid romance reader I’m making it a priority to put my book budget towards books featuring diverse characters and written by AOC. Also people are clearly idiots, because that man on the cover of Scoring with the Wrong Twin is gorgeous! Ditto what Nicole said. Thank you, Naima and Entangled for this eyeopening post. I just read a book by Reese Ryan and loved it! I’m reading Alyssa Cole now and loving the characters and the story so much. Also, Naima, I am SHOCKED by these numbers. I freaking loved Scoring with the Wrong Twin so hard. Zeph is a phenomenal romance hero and he deserves SO MUCH MORE LOVE than he’s had thus far, not to mention the model on the cover and teasers is HOT. It saddens me that other people haven’t embraced the book as much as the second book because Zeph’s story was a freaking fantastic read. If I say that I think the guy on the blue cover is way hotter to me than the guy on the red cover, does that make me, a middle aged white woman, a little bit pervy. I agree though that covers are important. And it’s not only about the ethnicity of the authors. I have a friend (also white) who writes Asian heroes and it’s tough to get that visibility. She’s a fabulous award winning author by name Dakota Harrison who recently published Hot Tokyo Nights with a delicious Asian hero. I have self published two novellas. One was a Christmas one with a Jewish hero and a standard white heroine. People (not many, but some) bought it. My second effort was a duo about Asian siblings. I put an Asian on the cover. One of the stories finalled in an award. I put that on the cover. Pretty much crickets. I expected it to do better. Maybe equal the Xmas one. Seems like not even my friends wanted that one ;). I can’t compare myself with an author like Naima, but my experience with covers, in a very small way, seemed to parallel hers. Hello. I am from India, where I am sorry to say, the colour of our skin is often mentioned when the news of our birth is announced to family and friends. And our matrimonial ads…. well, the least said the better. So, am I surprised by the statistics? Not really, but I am saddened that this is also happening in a country that is supposedly far more progressive than mine. I have read both these books and loved both and I actually like the cover of ‘Scoring with the Wrong Twin’ more than the other. I was really happy to see the diversity of races in these books, and I hope to see more books like these. Thankyou for the list of authors. I am already a fan of Nalini Singh and will check out the others too. What’s funny is, I’m white, but I think the cover for the first book is actually much more appealing than the second. I’m a huge fan of seeing a model’s face on the cover, not just man-chest. I am shocked at these numbers. I’m a huge believer that the cover plays a big role in if someone will buy a book or not, however, I think the first cover is more appealing. Maybe it’s because the guy in the second book is in football gear so it’s obviously a football book where as the first one isn’t but I would think the title would be enough to draw people in. This article is fantastic, even if the content is depressing (though not surprising). I own books from several authors on your list and will keep an eye out for the others, because for me, diversity in romance is important.